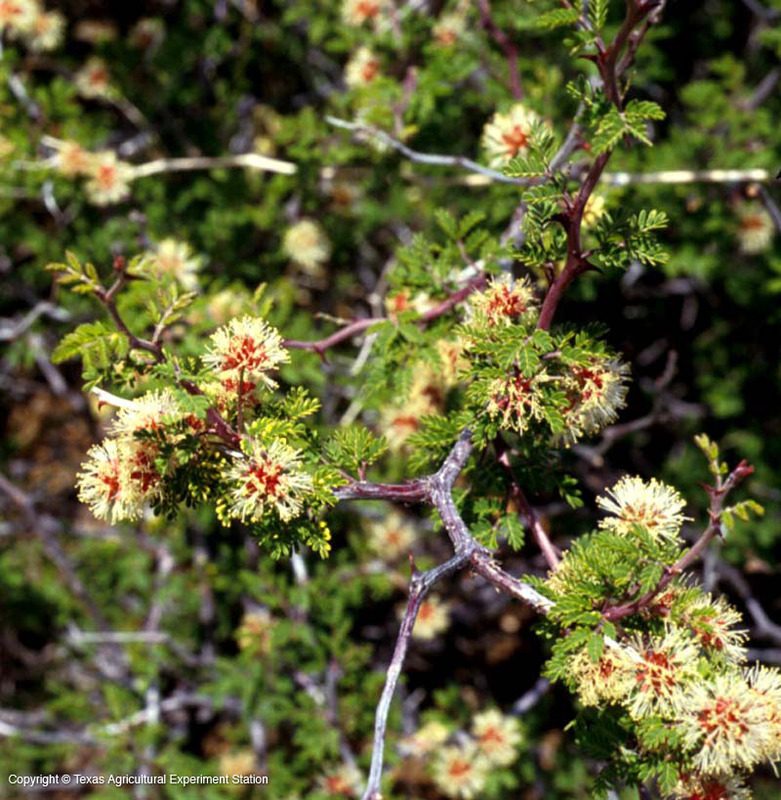 Texas mimosa is an infrequent or quite rare inhabitant on caliche or gravel hillsides in Zapata and Starr counties in south Texas and Mexico. 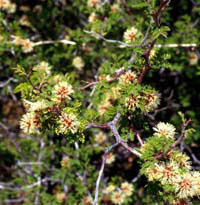 It is a rounded, densely-branched, prickly shrub having slender, zigzag twigs, grey to dark brown or black, small, recurved single prickles and twice pinnately compound alternate leaves. 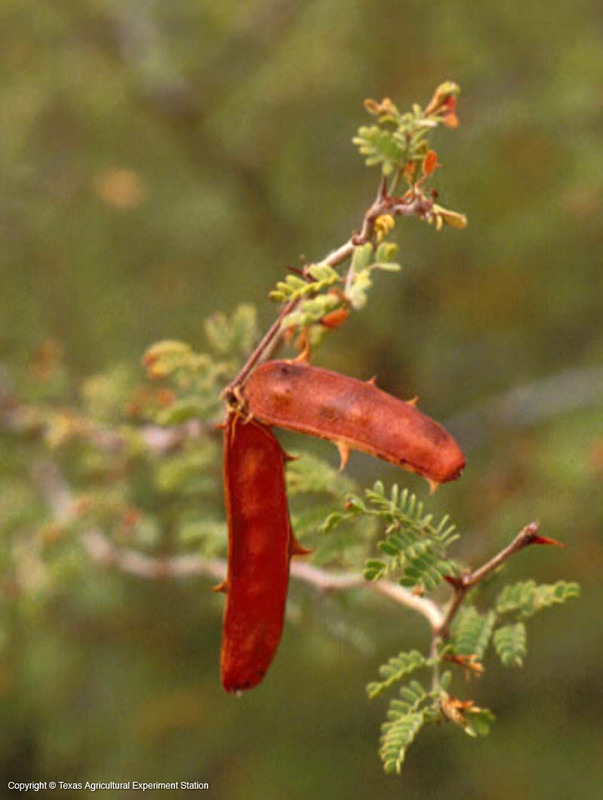 The eye-catching, brick red-colored seed pods also have sharp prickles on the margins. In bloom its pretty creamy white flowers transform the desertic shrub into an intensely fragrant, gorgeous ornamental plant, worthy of cultivation in Texas' warmest zone. 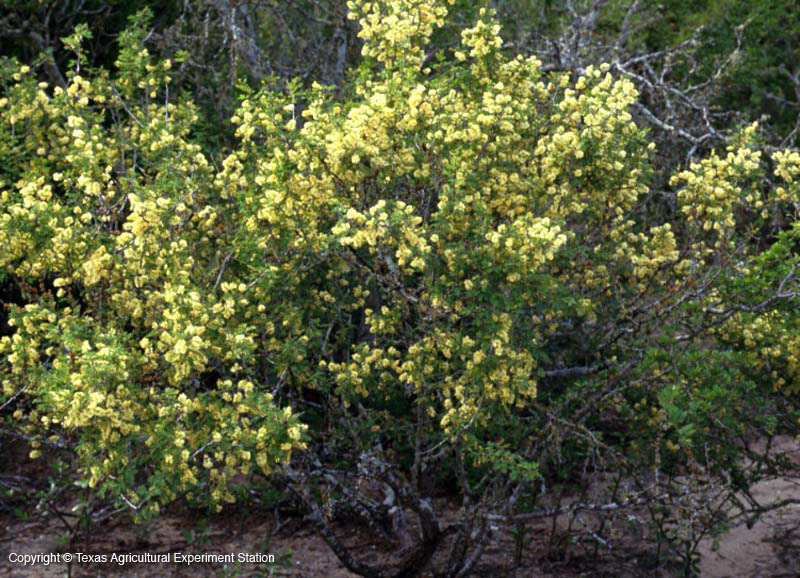 Additional Comments: Mimosa texana has also been applied to M. borealis. 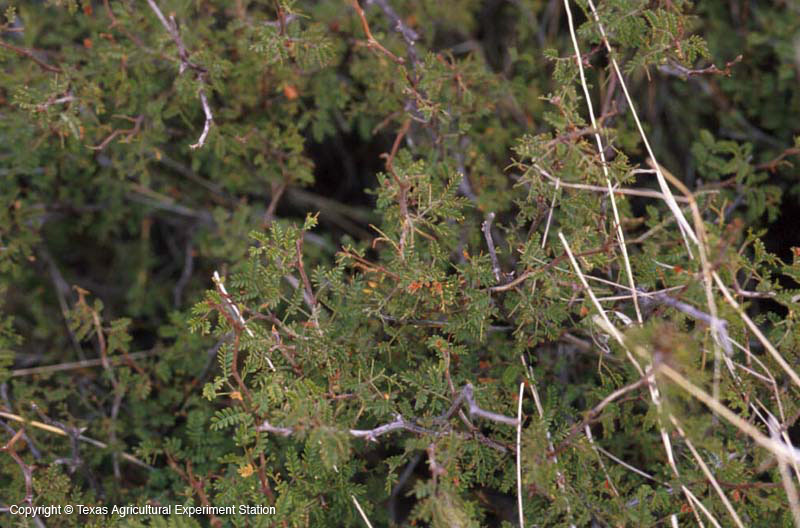 Also, M. texana has long been confused with M. aculeaticarpa because of close similarities of superficial features.